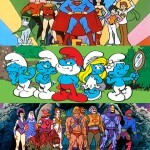 No matter the decade, growing up is hard to do. 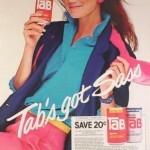 There’s something about the 80s though. The wholesome comforting feelings of good family and better friends show through in all of these movies making them the best coming of age 80s movies. 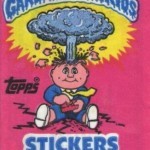 Remember spending time with your friends, playing cards or camping out? 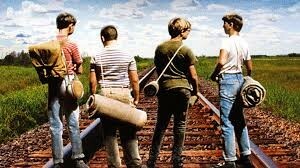 Stand By Me showcases four young teenage boys when they go out in search of a dead body of someone their age. 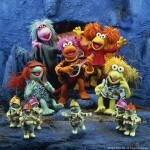 Along the way they lear n to trust each other and to trust themselves. The boys are all better for knowing each other and having friends like that in their lives. 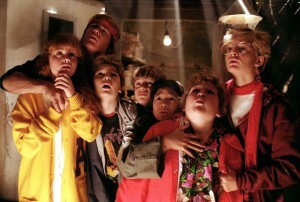 When the land they live on is scheduled for demolition to become condominiums, The Goonies know that this is the time that they need to do something! On a treasure hunt, they ditch the bad guys and have to work together to get One Eyed Willy’s “good stuff.” These kids learn that the can make a difference when the jewels they find save their homes. The second you see ET gets left behind by his spaceship, you know that this movie is going to be filled with the unexpected. The kids figured that ET would be smart and nice but they never figured how much they would love him. 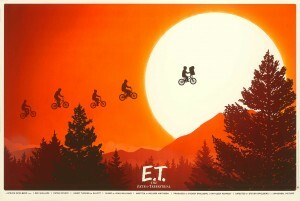 To help save ET’s life the kids have to get him back to the spaceship and help each other along the way. 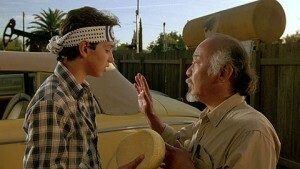 Daniel questions Mr. Miyagi’s teachings every step of the way but learns karate better than he ever imagined. From bullied to champion, Daniel learns that heart is the most important part of karate, and life. Chet and Roman are brothers and fathers who are just trying to do right by their families. Chet makes a humble and honest living while Roman takes a different approach. In the end, Chet teaches Roman that there are more important things in life than money, family. These feel good movies are ones to watch over and over again. You can never get enough entertainment with Mouth’s “translations” and Chet getting pulled across the entire lake at record speeds.